One of my colleagues brought in some interesting gifts today. 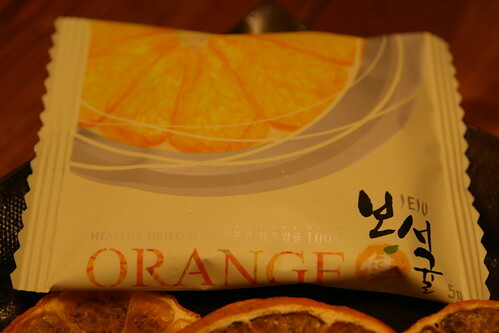 "Healthy Dried Jeju Oranges". Quite a different snacking experience. 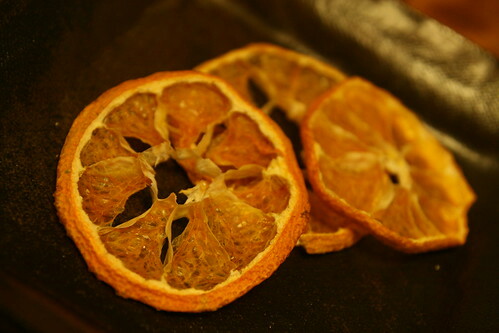 These slices of desiccated orange pack quite a powerful tart punch. Deliciously sour, they're certainly not for those with a sweet tooth, but they're a refreshing tea time treat.